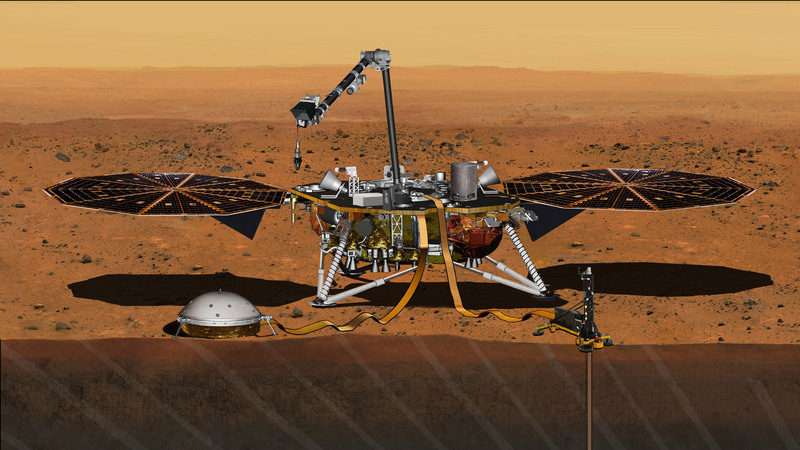 Water on Mars is one of the most talked about and controversial subjects in planetary science. It is now well-known that Mars used to be a much wetter place than it is now, although just how much water there was, and how long it lasted, is still a matter of considerable debate. Direct evidence from rovers, landers, and orbiters, including observations of ancient riverbeds, gullies, and lakes, has shown how at one time Mars was much more Earth-like than it is today. Rovers like Curiosity, Opportunity, and Spirit have actually driven over long-dried-up lakebeds, salty playa lakes, and regions of ancient geothermal activity such as hot steam vents. Now, the Opportunity rover is going to visit another feature not yet explored by any other rover or lander: a gully thought to have been carved by water millions or billions of years ago. 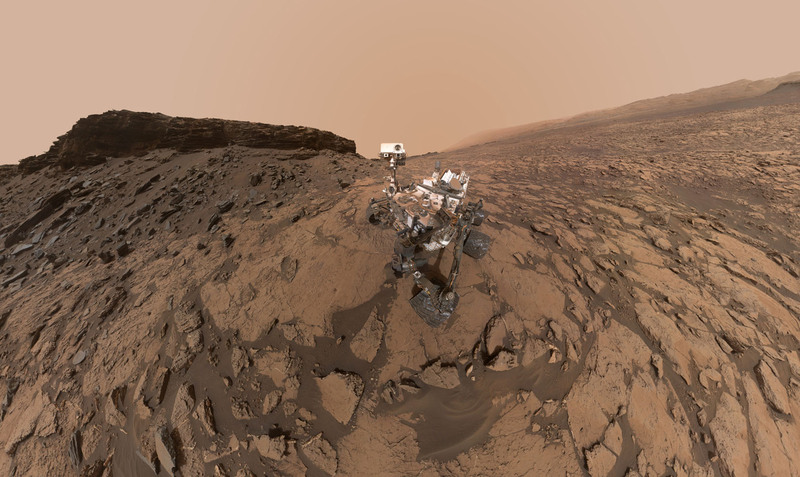 Ever since first landing in August 2012, the Curiosity rover has helped to revolutionize our understanding of Mars and has seen some incredible scenery along the way. It has travelled across an ancient lakebed and gazed at towering sand dunes and buttes, and now it is ready to begin the next phase in its mission: gradually ascending the lower slopes of Mount Sharp, the massive mountain sitting in the middle of Gale crater. The layers in the mountain will provide more clues as to how the Martian environment changed from being much wetter than it is now, to the dry but cold desert we see today. This next chapter in the rover’s mission is part of a two-year extension which began Oct. 1, 2016. Mars has often been compared to deserts on Earth, and for good reason: it is pretty much a barren landscape with a lot of sand and rocks everywhere. 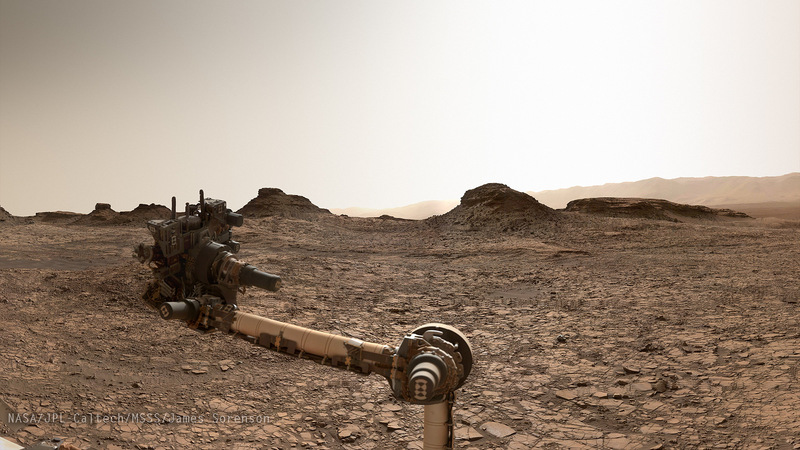 Sometimes, the similarities can be quite striking, and the terrain in Gale crater where the Curiosity rover is roaming around is a good example. The rover is currently in a region of stunning scenery – buttes and mesas which are very reminiscent of ones on Earth. This area could easily be mistaken for the American southwest if it weren’t for the dusty, pinkish sky and complete lack of vegetation. Curiosity is now getting a close-up look at these formations, which are not only beautiful but record a long and fascinating geological history. The Curiosity rover is continuing to travel through the ancient and eroded buttes and mesas which are part of the Murray Buttes formation. Very reminiscent of the terrain in the desert regions of the American southwest. Included are a couple new panoramas, processed by Thomas Appéré. All images are available on the mission website. So-called “waterworlds” have been found to be surprisingly common in the Solar System – small icy moons which have ice crusts but oceans of liquid water below the surface. These include Jupiter’s moons Europa and Ganymede and Saturn’s moons Enceladus and Titan, and possibly others. 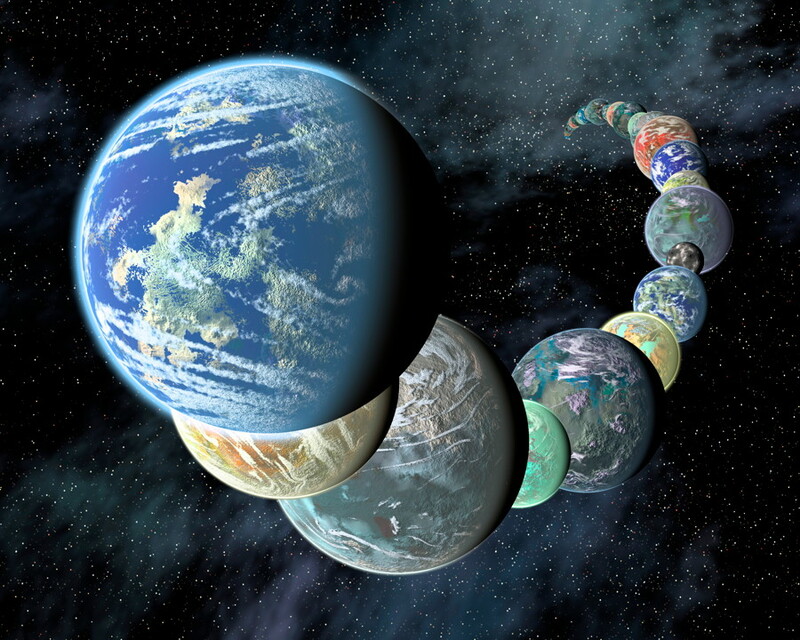 These moons are cold and very far from the Sun, but heated inside by the gravitational pull of their giant host planets and/or radioactivity. 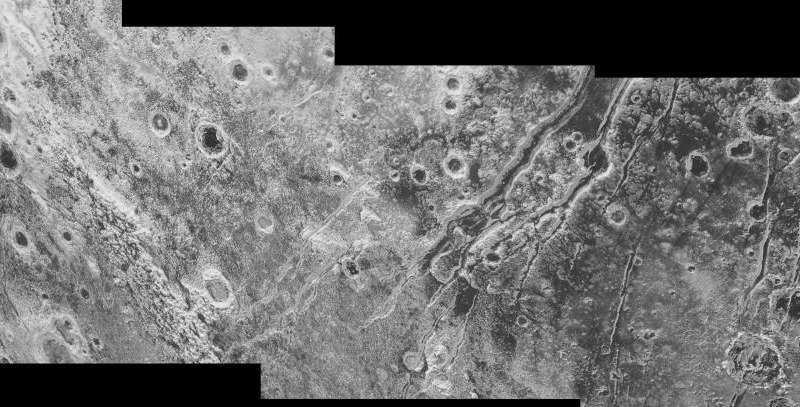 Now there’s another Solar System body which, even more surprisingly, some scientists think has a subsurface ocean: Pluto.